Who do you call when you’re hosting a New York symposium of dog trainers who seem less likely to throw sticks for their charges to fetch than to use them to beat each other to death? 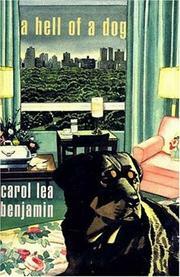 The obvious choice is trainer-turned-shamus Rachel Alexander and her pit bull Dashiell (The Dog Who Knew Too Much, 1997, etc. ), so symposium organizer Samantha Lewis offers the pair a hefty fee, free room and biscuits at the Ritz, and a couple of panels to provide cover for their snooping activities. And snoop they do. When Alan Cooper, the aversive-therapy guru of Instant Obedience, is electrocuted in his bathtub, Rachel’s response is to pinch crucial evidence from his room (leaving unanswered the question of how the cops could’ve missed a pair of leopard-print bikinis tangled in the bedclothes) and try to pinch a passkey that’ll let her into everybody else’s digs as well. Amid amusingly unfettered debates about different training techniques (the luminaries Sam has gathered include a grandmotherly BBC veteran, a dog psychic, a couple of foodies, a yank-’em-spank-’em authoritarian, a behaviorist to the stars, and one of Rachel’s most desirable ex-lovers), casualties continue to mount, though the most interesting characters make such early exits that the likely suspects are ciphers. Even if you pass up the mystery, you won’t want to miss the dog-eat-dog snapshots of the alphas who attempt to bring man’s best friend to heel.